Finding great talent is a challenge. Another 177,000 new jobs were added to the U.S. economy last month and it appears there will be another bump soon in business activity given potential regulatory-policy easing and fiscal stimulus. All great news, but it will make finding your next key hire even more difficult. There are many strategies that will help organizations compete for talent, but the most effective strategy, which continues to capture the bulk of the recruiting budget, is to hire a recruiting firm. When it’s time to select an executive search partner to help your organization attract the right talent, there are several factors that should be top of mind. Selecting an executive search partner should follow a similar path to selecting other service providers like your doctor, lawyer, accountant, etc. Begin with the end in mind, which is almost always to establish a relationship with a trusted advisor who will get to know you and your business and be in a position to provide confident counsel throughout the engagement. You are hiring a person or team to help you solve a problem and facilitate a critical hiring decision. Understanding the expertise and process a search partner brings to the table will help clarify the fit. Interview the person or team that will be working on your search engagement. What sets them apart from their competitors? Search firms should be delivering much greater value that extends well beyond just sending you resumes. In fact, only one portion of the search process involves searching for candidates. The right search firm will help evaluate the need, ask probing questions, challenge the qualities that you are searching for, and manage the process that will culminate in an offer. 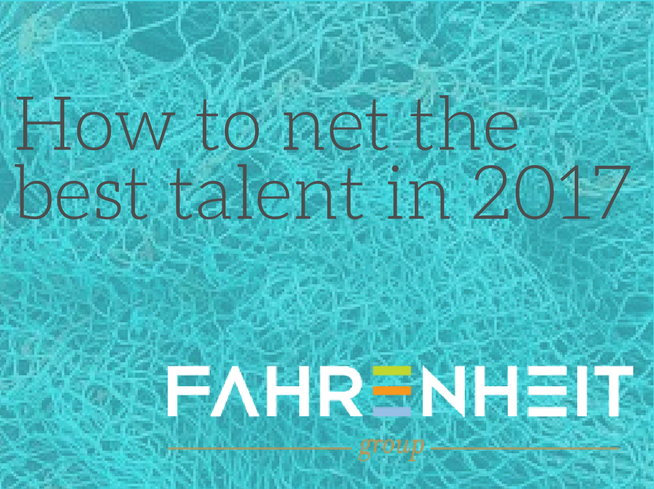 Many companies prescribe to the “cast the widest net” theory when recruiting for new employees, so instead of hiring one search firm, they will hire several different firms for the same search. Although that seems like it makes perfect sense, it slows down your recruiting process and does not generate the best talent available. Making the best use of your recruiting investment when hiring a search firm should include discussions around sourcing, candidate evaluation, process, and more. Hiring multiple firms turns your search into a low priority engagement. Each recruiter spends less time and energy because they know that another firm is also doing the same work and they are less likely to be paid for any work they are doing. Any focus on the engagement diminishes quickly and no real deep candidate sourcing is ever performed. The focus of the search turns into speed, not quality, and clients get the fastest resumes that recruiters can connect with, not the profiles that are best qualified based on the role, culture, and other criteria. The current job market leans towards candidates. Companies can’t afford to look disorganized or unsophisticated. You are spending good money on a search process. If you make the mistake of engaging multiple firms, there is a very good chance you will be left managing through the noise caused by multiple firms tripping over the same candidate conversations, which reflects poorly on your brand. In 2017, finding top-level talent will continue to be a top priority. Recruiting may not be a revenue-generating function or create your company’s next product or service, but if your organization recognizes the importance of attracting game-changing talent in 2017 and beyond, you will separate your business from your competitors. Rich Reinecke is a recruiting industry veteran with a unique blend of large corporate experience and dynamic entrepreneurial spirit. Rich works with every level of business, from emerging growth to Fortune 500 companies, and is key in client development and recruiting talent both internally and for clients. As a founding partner of The Fahrenheit Group, Rich brings more than 15 years of recruiting industry experience to the firm and is a well-networked connector. This gives our firm the ability to leverage relationships to help clients accomplish their goals.